Missoni's Target line launched this morning, and it's their best collection since the McQ Alexander McQueen line. Only this time accessories are the highlight of this line, at least compared to the limited line of clothing released to the stores here in Metro Detroit. I apologize for the lack of links and exact prices. I didn't write them all down while I was shopping, and the frenzy over the line has crashed Target's entire website (even their press room). See more images in our preview of the line. The men's scarves (that I saw) are a wool blend. 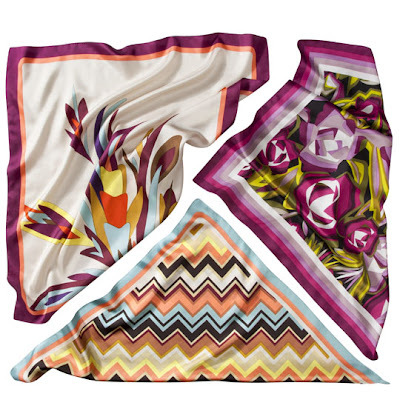 The women's winter scarves are a toss up with some wool blends and some full synthetics. The pretty neck scarves (pictured top right), however, are 100% washable silk and cost only $19.99, which is probably one of the better deals in the line. The pajamas and underpinnings didn't catch my eye in the lookbook, but they certainly did in the stores (but maybe that's because they didn't have much clothing in the stores). The black and white PJ pants were quite cute, but I couldn't bring myself to spend $39.99 on polyester pajama pants. The mesh bra for $19.99 was another story however. It came in a surprising array of sizes and looked extremely well made. There was a much broader collection of tights than I expected, but thy also cost more than I'd hoped at $16 a pair. The totes were a bit of a let down, but the luggage totes were beautiful and worth the money. The little rolling suitcase was chic and well made, but I thought the $160+ price tag was a bit high. You're paying a lot for the print on this one. All of the luggage had fun prints inside and out. The hair accessories were super cute. The $6.99 bobby pins are a sleek little accessory, and a nice buy if you want a piece of the line without making a big investment. 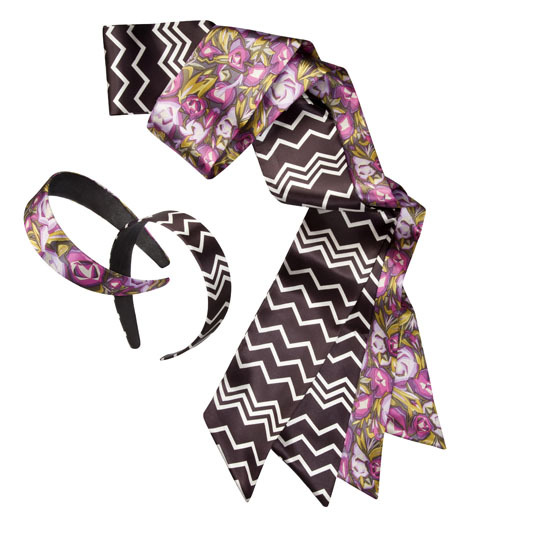 The hair scarves don't all feel like silk (the black & white one I found feels like polyester, but doesn't say what it is) so I'm not sure it's worth the $14.99 price tag unless you're in love with the print. The makeup bags were all decent prices (I'm sorry I don't remember the exact prices). As were the "office supply" bins, which I think make great bins for organizing all these new accessories. The shoes came in almost the full size range. The flats fit true to how most Target shoes fit, about a half size small on me. The heels ran a bit smaller. The rain boots have a very narrow calf, appear to only come in whole sizes and only go up to a size 10. 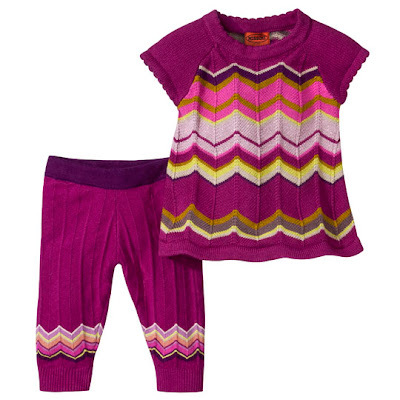 The little girls collection stole the show. The shoes, coats, clothes and accessories were adorable in miniature. The prices probably aren't as low as some mom's would hope since their little ones will grow out of them pretty quickly, but the cuteness will probably entice a lot of people to buy. Also, a warning to anyone ordering online, if the site comes back. 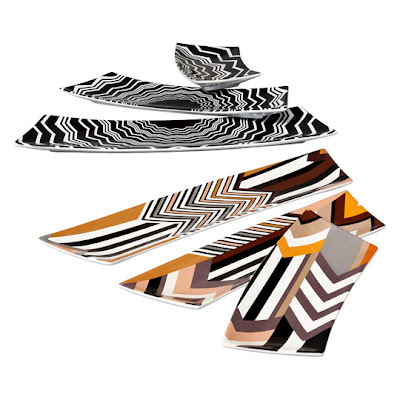 Some of the "black & white" zig zag prints are actually black and white, but some are black and cream. It's really hard to tell on the computer too so beware of that. It's kind of annoying that the print doesn't match itself throughout the line. Also the rose print hair scarves aren't dyed as dark as the rest of the rose print items in the line. Since I was mostly gunning for accessories, I will call this line a success. I don't know if other parts of the country or even other stores in my area got more clothing, but they really dropped the ball on distribution there. The selection was tiny compared to what they teased in the look book. Overall, the quality was better than most of the Target lines in the past couple of years. The price points are a little scattered with some items feeling high for the quality and others seeming like steals. Did anyone else shop this line today? What were your thoughts? I work at Target and I can tell you, our distribution can be really spotty in general. Our store had most of the clothing but a lot of the housewares didn't come in. It's really frustrating. I'm not totally in love with this line, although I think there is some lovely stuff. 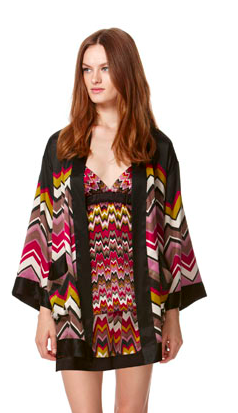 One thing I found interesting was that guests kept grabbing Missoni-esque items made by our in house brands. The fact that so many people couldn't tell the difference made the whole frenzy seem a bit gauche in a hard to explain way. Heard about it ... still to check out their stuff there! I was impressed with the detail and craftsmanship of the sweaters. Some of the home goods were hit or miss. I woke up early and got the items on my wish list, including the bike! I wrote about my experience on my blog, and how everyone wanted to buy the bike before I even got to the register. Overall, a great collection, although I think Target handled it all wrong.